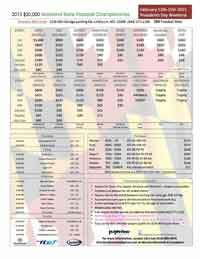 One of my favorite tournaments of the year, Maryland State. I know this post is late but it's better than never. We have a large group intending on going, which will only make it more fun this year. We have a points race already going on... click here for more info. More hotel info here. I believe they have added Rookie events. 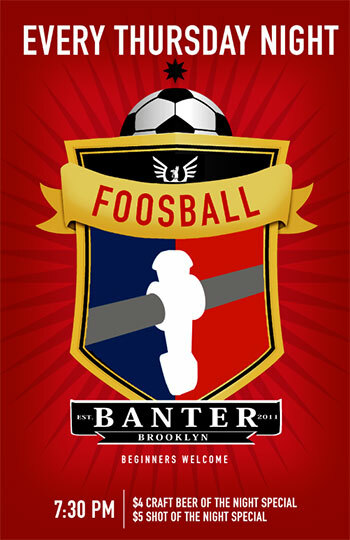 Thursday Night Foosball at Banter Bar in Williamsburg, Brooklyn starting at 7:30pm. Pickup games on a brand New T3000. You got that right, not Open Mixed (we'll get there in a moment) but Open Doubles! I believe this is Kristin's, at least, second Open Doubles title. She's setting a new standard for women in a male dominated sport. Not mention Todd's over the hill these days (that's a joke!). Whenever I mention top players I always say Tony or Ryan, but Todd can certainly hold his own and for the last 20+ years. I didn't get to see any of their matches, but I did get to meet Fe for the first time and she's incredibly nice. 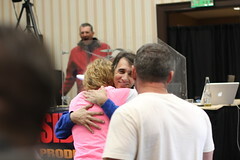 But Tony Spredeman re-invented the 5bar and rollover into something amazing. You can watch all the videos you want but when you're head to head against Tony on a table it's a whole different story, everything goes by so fast it's unbelievable. His 5bar makes me feel like I'm a beginner. What can I say? The kidz got skillz. Pull or rollover, one of the few players that I know that can switch to either and be just as effective. I'm personally more afraid of his "Chuck Norris" then his rollover.... who else can claim the World Record of unsuccessful block attempts at 16 in a row, in tournament. 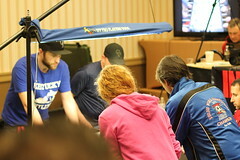 Special thanks to Chun Lee, Chris Forest, Mary Moore and the crew for running the show. It's a lot of work to put on an event like this. Promoting foosball is a thankless job. Next time you see any of these people let me them you had a good time. I certainly did. 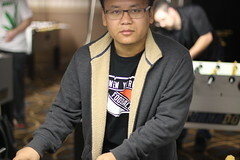 Our very own Dawa Sherpa and his partner TJ Tooz finished 1st, besting 41 tough teams to become Amateur Doubles Champions. Congrats Dawa, you broke the double dip curse! Won't be long till your an expert! UPDATE: I forgot to note, congrats to Luis and Dawa for taking 5th in Pro Doubles!! That's a huge accomplishment, that took a lot of skill to get there. Props to Ellen/Adrianne for taking 2nd in Women's Doubles. And Joe P for taking 2nd in Forward Shoot-out. Awesome!! 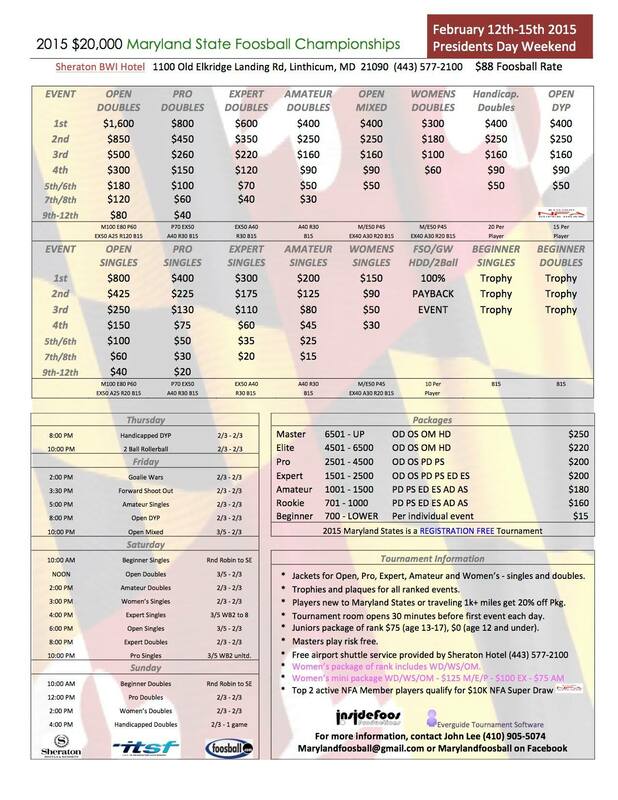 2015 Maryland Points Race is ON!!! Every Tuesday night at 7:00pm. This will probably be the biggest tournament this year on the East Coast. 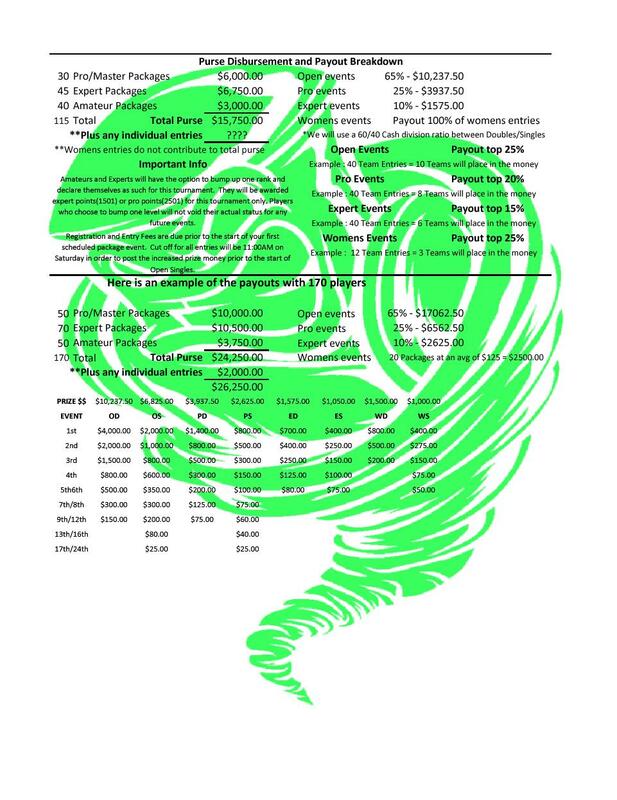 $20,000!! Maryland Foosball has given us prizes for our new points which we'll start in mid-January. I'll post more on that in a few weeks. I wish I could have been there. The foosball crowd is incredible. GOoooo Billy!!! This aired Tuesday November 8, 2014 at around 10:45pm. In summary we're a bunch of old guys (except for Ellen) who act like little kids on a foosball table every Tuesday night. If that sounds like fun to you come down and join us at Fat Cat (75 Christopher St - Tuesdays, be there by 6:45pm). 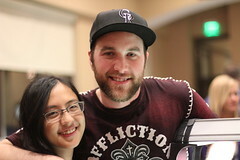 Props to FSG - Oliver and Alex for winning the 2014 WGDFC and entry fees for next year to the Tuesday Night tournaments at Fat Cats!! Great jobs guys. There were a lot of good teams out there and a huge field, I believe 64 teams. Thanks to Cooper Union, Warrior Foosball Tables, Adobe and Puma for their support. 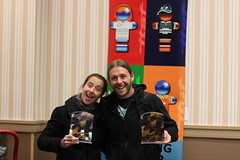 Thanks to karlsonwilker (Megan and Kevin) for running the event. I always forget why I participate.... Now I remember, because it's a great time. These guys won best costume. Beavis and Beavis. They also won entry fees for the next year to Tuesday night tournaments at Fat Cat. If you're a graphic designer you need to be at this next year. What a great event with a lot of great people. I had a blast. Also to note almost all the winners have played at the Tuesday night tournament prior to winning the WGDFC that year, I think. 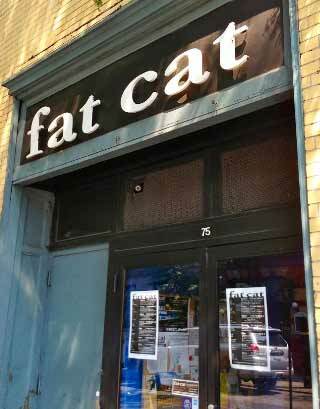 If you want to get good at foosball Fat Cat is the place to be.